Could this be one of favourite projects EVER? Yes I think so! 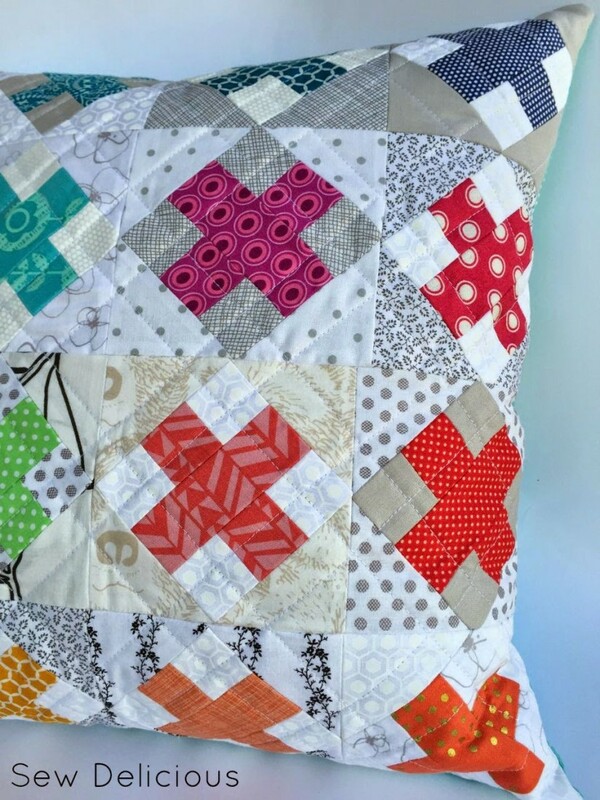 As you might remember from this post, I found a gorgeous mini quilt on pinterest that used these blocks. 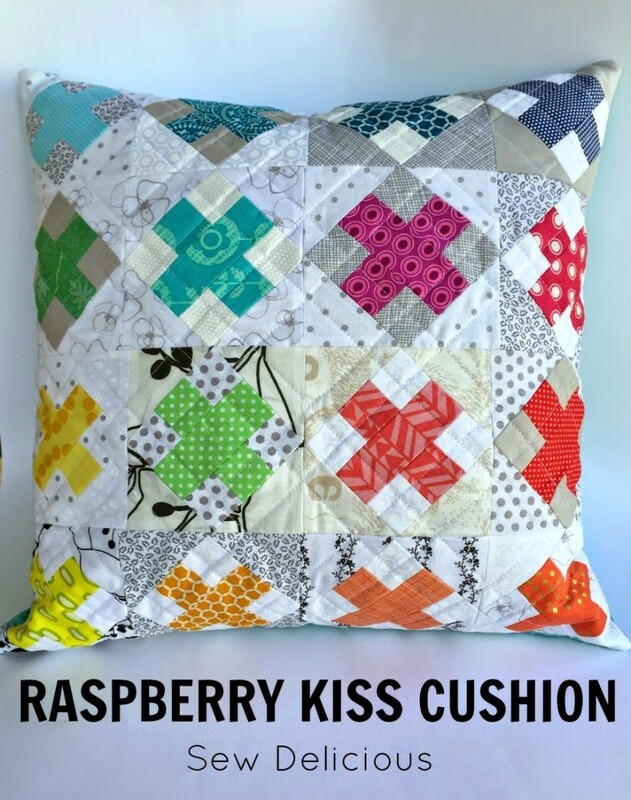 After some detective work I discovered the maker and followed her information over to the Raspberry Kiss block tutorial by Wooden Spoon Quilts. 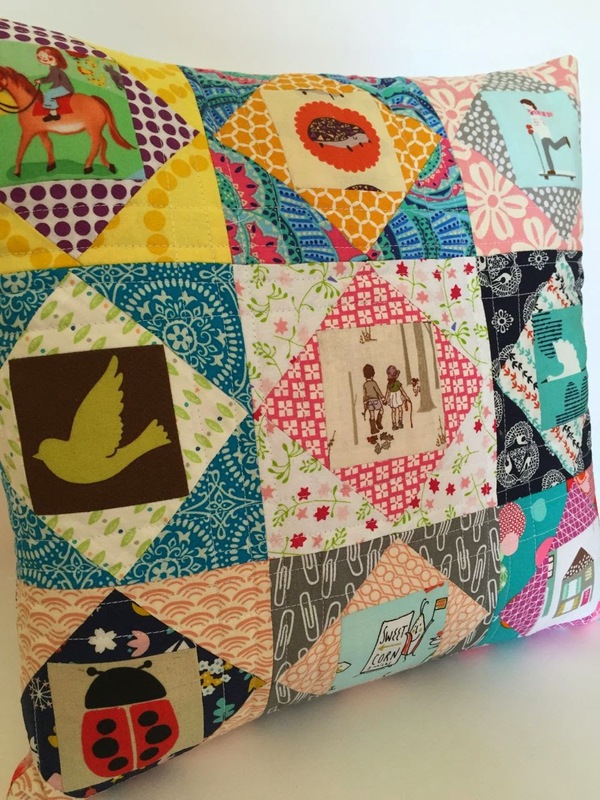 I ended up making 16 blocks, with the bright colours coming from scraps and off cuts from other projects. I’ve seen a lot of people use low volume prints as a feature in other projects but this is the first time I’ve done it and I can see why it’s so popular – I really LOVE the effect. Once I had my blocks arranged I decided upon a rainbow style layout. I started with my yellows in the bottom corner and they lead out to oranges and reds, and on the other side, greens to blues. 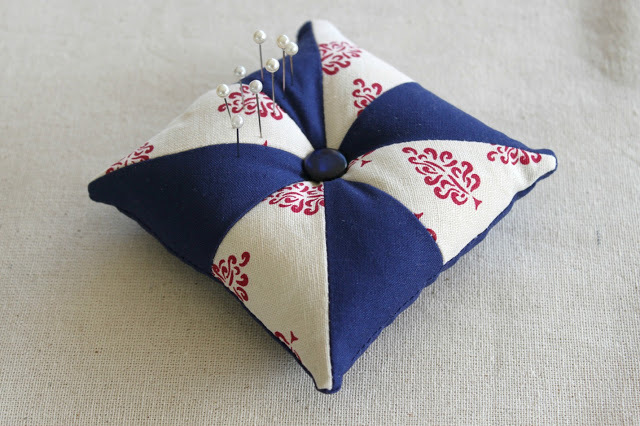 The final size was approximately 16″ square which was perfect for a 16″ cushion form. 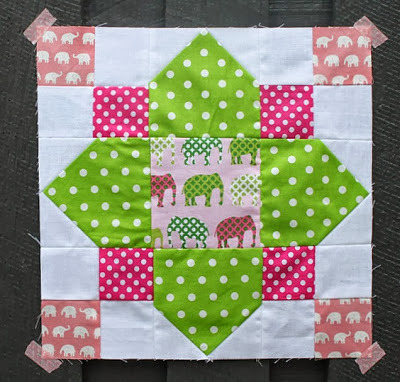 I would love to make a whole quilt with these blocks but they are small and this group of 16 took me a fair bit of time. It was a great project for practicing accuracy with cutting, as they are quite small – they finish at 4 1/2″ square. I recently bought this small ruler and along with my small rotary cutter I was easily able to manage the small scale cutting requirements. 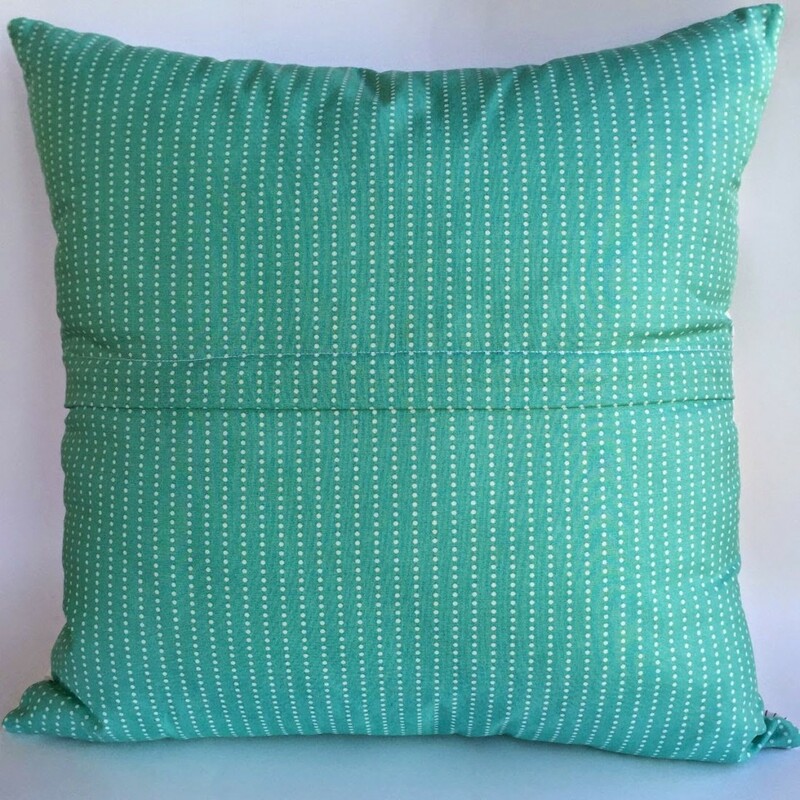 For the back I used this pretty aqua spot / stripe that I picked up recently at Spotlight. 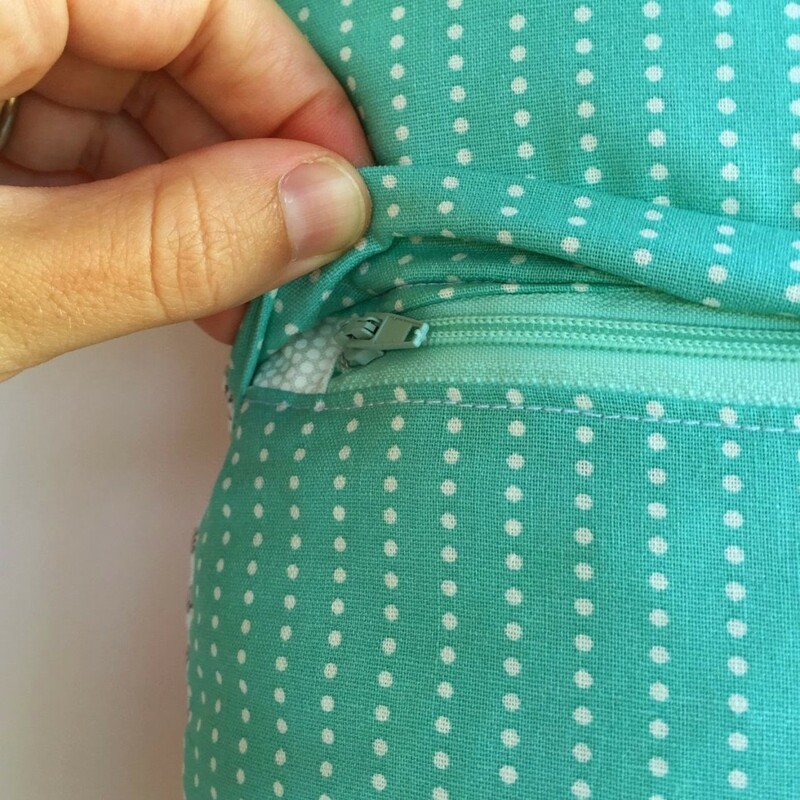 For my cushion backs I always use this method from a tutorial by Ms Midge which looks lovely and neat but is a super easy way to make a zip closure for a cushion. I’ve been making a lot of cushions lately, they are a lovely way to feature a small scale quilted project. They also make really great gifts. This one I’m keeping, and I won’t even put it on the couch, I’m too scared the kids will touch it with dirty hands! I’ve claimed it for myself and it’s currently the feature cushion on my bed. Love it! And you know I love me a cushion! BEAUTIFUL, Ros!!! No wonder you're not letting the kids near it. it really is such a beautiful cushion 🙂 Enjoy it!